VI·BOK is a studio dedicated to thinking and critical action on living spaces. 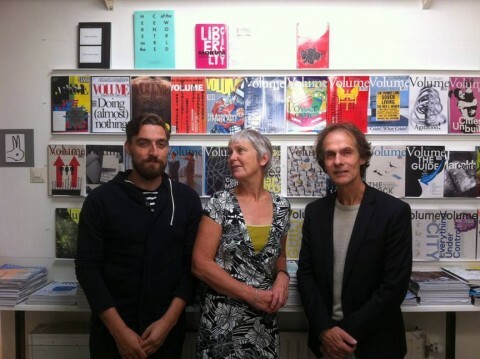 Last month they published an interview with Volume editor-in-chief Arjen Oosterman and former Volume managing editor Brendan Cormier about their main editorial coordinates and the process of editing. Themes addressed in the interview are editorial vulnerability, making by doing philosophy, why to move away from reviewing, the risks of focusing on form as content and Internet weirdness as a source of inspiration. Click here to read the article.